Many Monrovia patients realize that their teeth come in at different times. Starting when you’re around six months old, your baby teeth start to come in. What many patients don’t realize is that your wisdom teeth, or third molars, may come in anytime from about 18 to 25 years old. The trouble with wisdom teeth is that most people no longer need them. In fact, they crowd other teeth in your mouth and can lead to problems that are painful and affect how your smile looks. Pain. 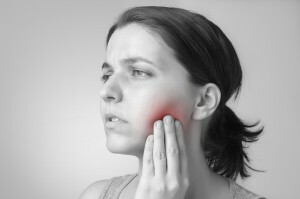 This can be a dull ache or sharp pain, but wisdom teeth can also cause other problems such as severe headaches and jaw discomfort depending on how they come in. Swelling. Your cheeks, jaw, and gums are the most likely to swell when wisdom teeth erupt. This severity ranges from barely noticeable to several times the normal size. Bad breath. Your breath will smell, and taste, worse than usual even soon after brushing. Bleeding. Wisdom teeth often have sharp cutting edges that tear gum tissue as they emerge and cause bleeding. If you have one or more of the symptoms above, particularly swelling, pain, and bleeding, you should come in for a dental examination. While the problem might be unrelated to your wisdom teeth, it’s better to come in sooner rather than later to avoid the possibility of pain and more extensive treatment. How Will I Be Evaluated for Wisdom Teeth Removal? Reviewing your medical history and current medications to avoid complications during surgery. Explaining every step of the procedure for patients who want to know more. Helping you select anesthesia, which adds to your comfort during the procedure. All procedures are performed at our office in the Monrovia area, which is equipped with the latest dental technology and designed to provide you with the most comfortable experience possible. Nitrous oxide: Many patients know this by the name “laughing gas” and appreciate that its soothing effects wear off about five minutes after your procedure. Sedation: Patients take a pill that is stronger and lasts longer than nitrous oxide. During the procedure, you will be awake and able to reply to questions but very happy about getting your wisdom teeth removed. Administer anesthesia to make you comfortable and relaxed. Remove your wisdom teeth surgically. Close the incision with stitches. Dr. Q recommends that all Monrovia patients arrange for a friend or relative to pick them up after their wisdom tooth removal. This is especially important for patients who decide to have sedation during their procedure. Taking pain relievers as directed to minimize swelling and pain. Eating soft foods to prevent the surgical site from opening. Applying ice to your cheeks in the first 48 hours after surgery to minimize swelling and bruising. Dr. Q will see you for a follow-up exam 3-7 days after the procedure to check that the area has healed and will not cause any future problems. Painful and swollen wisdom teeth keeping you up at night? Schedule an immediate consultation by calling our office in the Monrovia area at 626-599-9818.